Historical Marker #2383 in Marshall County commemorates Shelby McCallum, a businessman and public servant. Born in Jackson, Tennessee, on January 23, 1917, McCallum was raised in the nearby town of Humboldt. He graduated from Humboldt High School and went to work in a local grocery store. Fired because he was unable to lift the heavy bags of flour into the farmer's wagons, Shelby got a job as an usher in a theater. In 1938, the owners approached McCallum about managing the struggling Benton Theater located in Benton, Kentucky. He jumped at the opportunity and arrived in Benton in late 1938. In addition to the Benton Theater, McCallum soon began operating a theater in Gilbertsville for the TVA workers during the construction of the Kentucky Dam. In 1942, McCallum enlisted in the U.S. Army. When he returned to the area in 1946, he became owner of a drive-in theater in Calvert City. He eventually owned two more theaters in Hopkinsville and Russellville. In the early 1950s, McCallum became interested in politics. 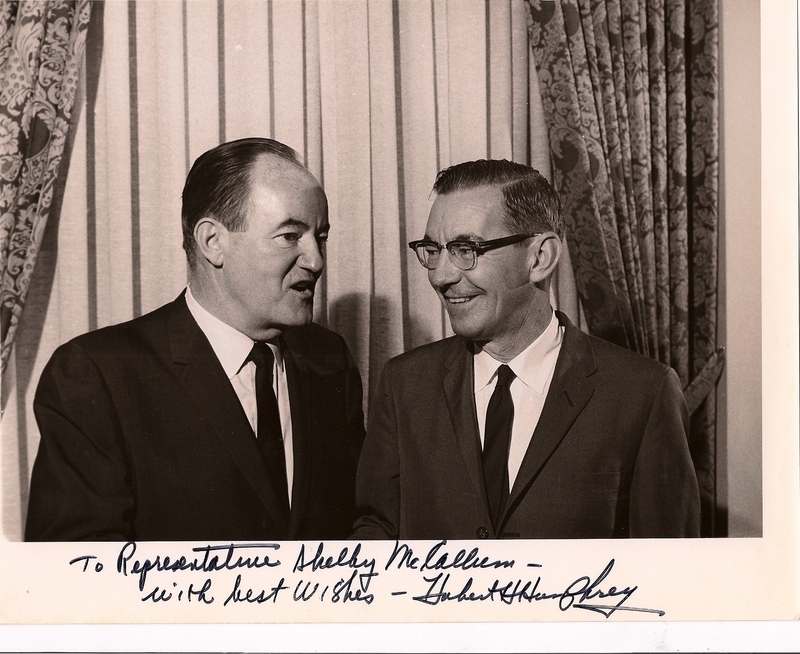 When long-time state representative A. L. "Chick" Love retired, Shelby's friends urged him to run as the 6th district representative. He entered the 1951 Democratic primary and won easily. He was re-elected in 1953, 1955, and 1957. With the introduction of television, theaters across the nation were struggling. Therefore, McCallum sold his interests in the theater business and quickly began took a new interest in radio. He worked as an announcer at WPAD in Paducah, and learned all he could about the radio business. After eight months, he decided to build his own radio station in Benton. 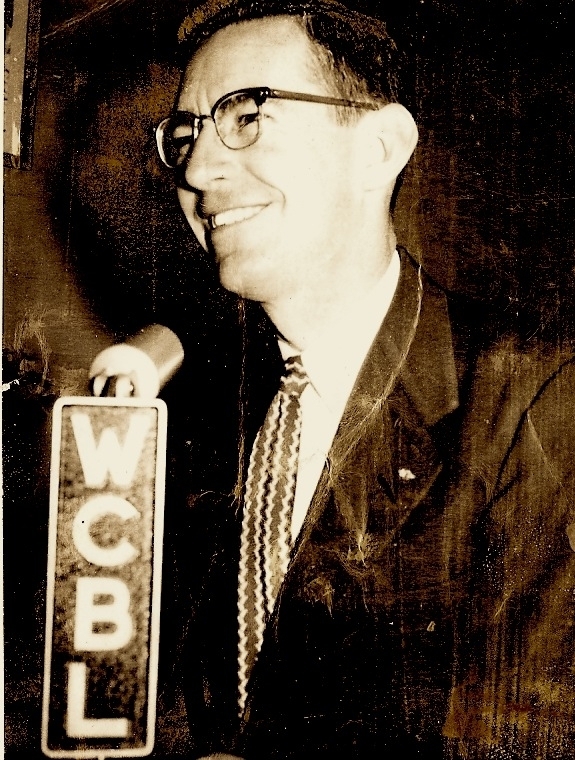 McCallum launched WCBL 1290 AM on December 13, 1954. He eventually owned three other stations in Missouri, Tennessee and Kentucky. In 1959, McCallum decided to focus on his radio career and not seek re-election to the state legislature. Two years later, however, Edward "Ned" Breathitt, who was preparing a campaign for governor, persuaded McCallum to run for his old seat. McCallum was easily re-elected. When Breathitt was elected as governor in 1963, McCallum was chosen as Speaker of the House. In this role, he fought for many progressive causes. He presided over the passage of the first Civil Rights Bill south of the Mason-Dixon Line, advocated a law to reclaim strip mined land in Kentucky, and helped make Murray State a regional university. He also influenced the routing of the Purchase Parkway through Marshall County. Although McCallum did not seek re-election in 1968, he remained committed to public service. Throughout the 1970s he served as First District Railroad Commissioner, a member of KET, the Prichard Commission, and the State Legislature Ethics Board. 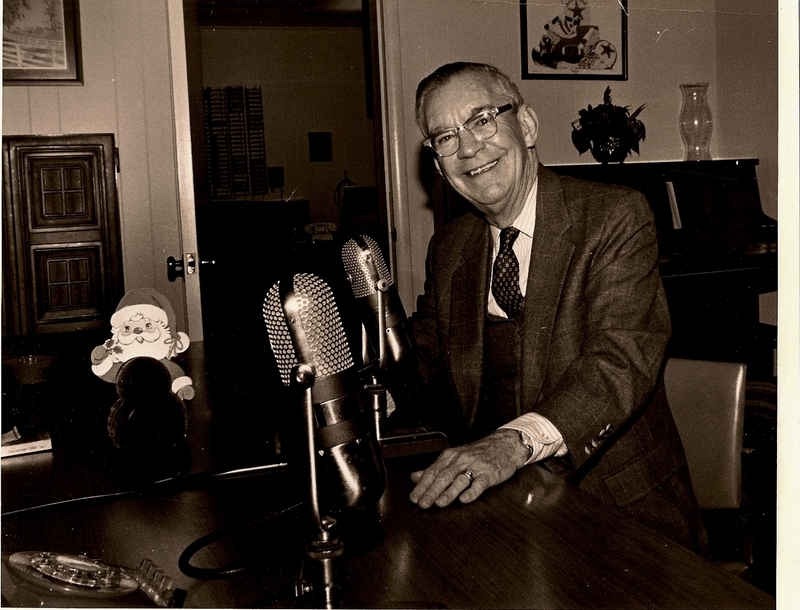 He expanded his media business when he purchased the "Tribune Courier" and Benton Cable. After a long career in politics and radio, McCallum died in Paducah on June 14, 1987. He was buried in the Fooks Cemetery in Sharpe. Shalby McCallum: Shelby McCallum at WCBL Radio Station. Shelby McCallum: Shelby McCallum with Hubert Humphry. Shelby McCallum: Shelby McCallum in his office. Becky Riddle, “Shelby McCallum,” ExploreKYHistory, accessed April 22, 2019, https://explorekyhistory.ky.gov/items/show/285.